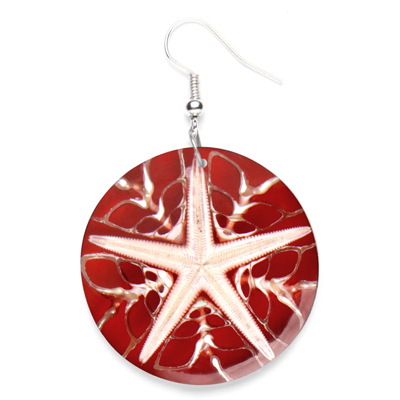 Earring with starfish & red clear resin. Stretch bracelet with turquoise beads & paua / starfish / resin. Ring with starfish in red resin & resin band.